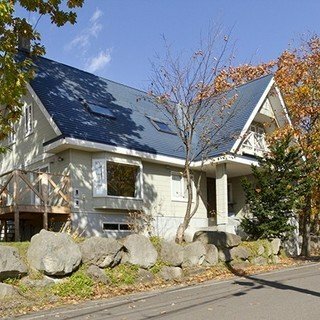 Located in the popular Izumikyo area, Tahoe Lodge offers an idyllic retreat for guests who appreciate peace and quiet, yet want to remain within a few minutes of restaurants and amenities. Waking up in Tahoe Lodge you could be forgiven for thinking you were in in California, with raw timber and stone central to the modern, North American design. But just one step out the front door and the metres of fresh pow will bring you right back to Japan. A short walk to the free village shuttle and you'll be on the mountain in no time. 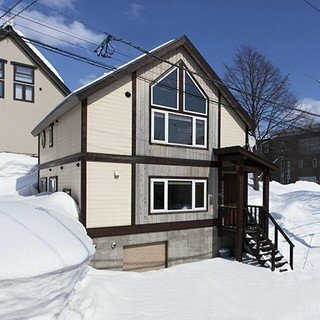 Whether you spend your days chasing down that famous Niseko powder, practicing your turns on the green runs or racing down groomers, return to your cosy living space exhilarated. More than ready for some well deserved relaxation, take a soak in your traditional sunken tiled bath and look out over the stunning snow-covered countryside. With a couple of options within walking distance for your evening meal, you try out Hokkaido's speciality soup curry, have a casual evening in utilising your fully equipped kitchen. Alternatively during night skiing season the free village shuttle runs late, head into the centre of the village and sample some of Niseko's most popular restaurants. 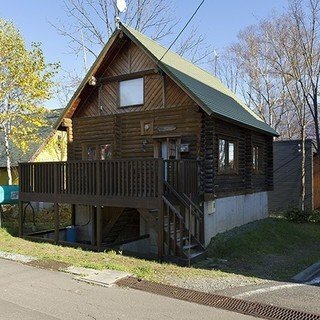 "Fantastic house to stay in with everything you could need. We really loved it."